We offer 24/7 customer support via Chat. Please don’t hesitate to open the chat and ask any questions. We are located in the EU, we ship from Prague / Czech Republic. We offer Free Economy Shipping for orders 150 EUR and up. 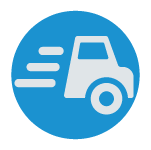 If you need an Express (next day) delivery, you can choose it on the checkout page at an extra cost. 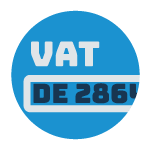 If you have an EU VAT number, you can add it while entering your address details at the checkout. Your account will be verified automatically for 0% VAT purchases. We ship the same day if ordered product(s) are in stock an order is placed before 15:00 CET. If you are not satisfied you can return your product(s) within 14 days (or 30 days if you purchase a protection plan) for a full refund. We offer 2 years limited warranty. If you purchase Protection Plan, the limited warranty period extends to 4 years. 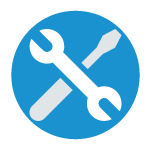 If you experience any issue with your product, we will take care of it. We stay behind what we sell and offer the best customer care. We do repairs / replacements at our own service department. You won’t need to contact the manufacturer. 1. The Seller is a limited liability company established and governed by the laws of the Czech Republic. 2. The Seller’s scope of business comprises, in particular, trading and providing service and support in relation to camera and DSLR products (hereinafter the “Products”). 3. The Seller undertakes its business activities at premises located in the Czech Republic, Prague, Vlkova 679/39, Postal Code 130 00, and using e-shop platform located at the internet address www.buyslider.com (hereinafter the “E-shop”). 5. The Seller’s contact e-mail is info@buyslider.com, while any communication intended for the E-shop operator should be also directed to the Seller’s contact e-mail. 6. These General Terms and Conditions (hereinafter the “GTC”) apply to purchase of Products through the E-shop or, as the case may be, directly from the Seller. These GTC specify rights and obligations of the Seller and the buyer with respect to their contractual relations. 7. All contractual relations established between the Seller and the buyer or, as the case may be, the consumer are governed by laws of the Czech Republic. Legal aspects of contractual relations which are not regulated by these GTC shall be regulated by Act No. 89/2012 Coll., Civil Code, as amended, and Act No. 634/1992 Coll., on Consumer Protection, as amended. 8. For the purpose of these GTC, a consumer is regarded as natural person who does not conclude and/or perform a contract as part of its business or other entrepreneurial activity. 1. The contractual relationship between the Seller and the buyer is governed, particularly, by the purchase contract (whereof these GTC form an inseparable part). 2. Posting of the Product on the E-shop webpage with indication of the Product’s parameters, price and availability, at the very least, is considered as indirect offer to conclude a purchase contract. Buyer’s order of the chosen Product(s), duly completed, confirmed and delivered to the Seller is considered as confirmation of the Seller’s one or more offers. Buyer’s order is supposed to be placed, i.e. completed, confirmed and paid, on-line through E-shop. Purchase contract is deemed concluded upon receipt of the buyer’s order, containing all requisites according to these GTC, by the Seller. 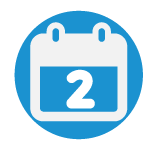 Receipt of the buyer’s order, particularly conclusion of the purchase contract, shall be confirmed to the e-mail address provided by the buyer without delay. 3. Whenever on-line order placement and/or on-line order payment is not possible, regardless of reason, the buyer shall send a written order to the Seller’s e-mail address info@buyslider.com. The written order is supposed to contain at least the following data: (i) buyer’s first and last name, (ii) buyer’s delivery address, (iii) buyer’s phone number and contact e-mail address, (iv) chosen product description and quantity. The written order may further contain, particularly, (v) chosen Protection Plan service, (vi) buyer’s firm name and (vii) buyer’s VAT number (only if applicable). Upon receipt by the Seller, such written order is considered as direct offer to conclude a purchase contract. The purchase contract is concluded upon delivery of confirmation of the order by the Seller to the e-mail address provided by the buyer. 4. Under the concluded purchase contract, the Seller undertakes to deliver to the buyer the agreed Product(s) and to transfer upon the buyer ownership title thereto, whereas the buyer undertakes to pay the purchase price of the Product(s) and accept its delivery; on-line payment precedes and preconditions conclusion of the purchase contract, hence, where on-line payment is applicable, the buyer’s corresponding undertaking is deemed fulfilled. 5. By conclusion of the purchase contract the buyer expressly confirms being aware of the fact that these GTC form an inseparable part of the purchase contract and that the buyer acquainted itself with the GTC. The buyer has been adequately notified about these GTC prior to conclusion of the purchase contract and had the opportunity to acquaint with full wording of these GTC. 1. 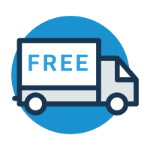 Product(s) shall be delivered to the buyer by courier delivery service using "DPD Private" (Ground) ",TNT Economy Express" (Ground) or "TNT Express" (Air) or "Express Mail Service" tariff. The package shall include the ordered Product(s) along with the respective final invoice. 2. 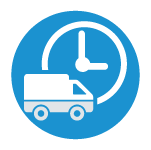 Delivery time of the Product(s) is determined as sum of the Product’s indicated availability (E-shop) at the time of order and the courier’s delivery time depending on the chosen transportation company and service. Delivery time is also affected by the Product purchase price payment status which is, as a rule, precondition for commencement of shipment. On-line payment leads to immediate shipment, subject to Product availability, wire transfer payment leads to shipment only upon its crediting to the Seller’s account. 3. Where among the Products ordered there are in-stock as well as out-of-stock items, the buyer may opt for partial shipment of the in-stock Products first and out-of-stock Products when these become available. The Seller reserves the right to reject partial shipment request. 4. 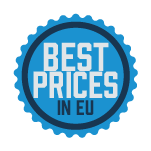 "DPD Private" (Ground) shipment costs within member states of the European Union (excluding Cyprus) are borne by the Seller (only for purchases over 150 EUR excluding VAT) . "TNT Economy" (Ground) and "TNT Express" (Air) shipment costs to all countries [vary between EUR 20 - 300 (depending on dimensions and weight of the Product)] and are indicated to the buyer before order completion (Checkout phase in E-shop). 5. The Seller acknowledges that certain data relating to the buyer, in the extent necessary for proper delivery of the Product(s), are provided to the courier by the Seller. 6. The Seller shall pack the Product(s) and label it in accordance with the purchase contract, otherwise in a usual manner corresponding to the agreed type of delivery; any related costs shall be borne by the Seller. 1.E-shop Product purchase price does not include shipment costs and tax (VAT). 2. E-shop Product purchase price is indicated and payments are made in Euro (EUR) or US Dollars (USD). 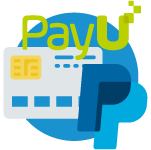 However, exchange for other currencies is possible as part of the on-line payment (exchange rates may apply) provided the buyer’s bank/PayPal account and/or credit card type supports such exchange. 3.Purchase price of the Product shall be agreed in each purchase contract provided that its amount shall correspond to purchase price of the respective Product indicated in E-shop at the time of placing the order by the buyer. The Seller is entitled to adjust the Product purchase price unilaterally, though any such adjustment shall have no effect on the concluded purchase contract. 4. On-line payment of the total purchase price (i.e., Product price and, if applicable, service price, tax or shipping costs) is the preferred payment method. Whenever on-line payment is not possible, regardless of reason, payment shall be made by wire transfer using bank details provided by the Seller after receipt of the buyer’s order in accordance with Article II.3. hereof. Crediting of the total purchase price to the Seller’s account is a precondition for shipment of the Product(s). 5. A pro-forma invoice relating to the total purchase price shall be issued by the Seller and made available to the buyer in “History and Details of My Orders” section of its E-shop account. A pro-forma invoice merely declares value of the purchase and does not constitute a final invoice which will be delivered to the buyer along with the Product shipment. 6. 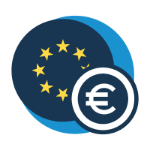 A buyer who is a registered VAT payer in a member state of the European Union is entitled to purchase price reduced by the corresponding VAT amount. 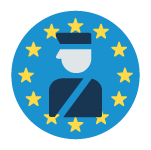 A VAT registered buyer shall enter its valid VAT-ID ( which is recommended to be checked via http://ec.europa.eu/taxation_customs/vies/ ) to “My Adresses” section of its E-shop account. The right according to previous sentence is granted only upon positive verification of the buyer’s VAT registration by the Seller. Such verification is performed without delay after placing the order and, as the case may be, on-line payment completion. As part of the verification process, the Seller may request from the buyer a proof of VAT registration. Negative verification result of the buyer’s VAT registration entitles the Seller to issue a new (VAT included) pro-forma invoice and obliges the buyer to settle the difference between the former and the new pro-forma invoice. Until such settlement is made, the total purchase price is considered unsettled. 7. The Seller may provide discounts with respect to its Products in the form of a voucher which can be applied, while placing order in E-shop. Except for a voucher, discounts of Products are not claimable against the Seller. Only one voucher per order is admissible. 1. 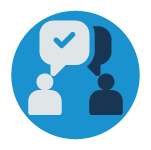 Ownership title to the Product, subject to shipment, passes to the buyer upon take-over of the Product in the place determined by the buyer (i.e. agreed in the purchase contract). 2. Risk of damage to the Product, subject to shipment, passes to the buyer along with the ownership title. 1. Delivered Product shall have quality parameters as agreed in the purchase contract and required by the respective legal regulations (provided it is a requirement of mandatory provision of a legal regulation governing the relationship between the Seller and the buyer under the purchase contract), otherwise usual quality parameters apply. 2. Apparent defect in quality of the delivered Product, if any, shall be notified by the buyer to the Seller within 5 days following delivery, otherwise such defect shall cease to be eligible under the Seller’s liability for defects. Primary contact for the purpose of notification is the e-mail info@buyslider.com . 3. Quality guarantee of 24 months’ duration is provided by the Seller to the buyer with respect to the delivered Product. The guarantee period commences upon delivery of the Product to the buyer. 4. Defect in quality of the delivered Product, if any, shall be notified by the buyer to the Seller within 10 days following the moment when the defect becomes apparent, otherwise such defect shall cease to be eligible under the Seller’s quality guarantee. Primary contact for the purpose of notification is the e-mail info@buyslider.com . 5. 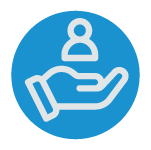 Warranty claims of the buyer with respect to the delivered Product are governed by legal regulations governing the relationship between the Seller and the buyer. Further details concerning warranty claims are laid down in "Shipping, Returns & Repairs" terms of the Seller which are accessible from the E-shop website. By conclusion of the purchase contract, the buyer expressly acknowledges that it has acquainted itself with the Shipping, Returns & Repairs terms. The buyer has been adequately notified about the "Shipping, Returns & Repairs" terms prior to conclusion of the purchase contract and had the opportunity to acquaint with full wording of the Shipping, Returns & Repairs terms. 6. The Seller is not liable for defects of the Product which occurred after risk of damage to the Product passed to the buyer without fault of the Seller, defects caused by mechanical damage, usual wear and tear or as a result of improper handling, storage, use, as well as defects caused by the buyer or a third party. Further, the Seller is not liable for defects of the Product if electronic module black box of the Product is damaged. 7. The Seller offers a "Protection Plan" service which provides, in the given context, extension of the quality guarantee duration to lifetime and limitation of cases where the Seller’s liability for defects of the Product is excluded. 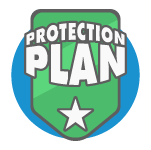 Further details concerning Protection Plan service terms are laid down in Shipping, Returns & Repairs terms of the Seller which are accessible from the E-shop website. As a rule, Protection Plan service may be purchased by the buyer to a single Product. 1. In case the Product does not correspond to the purchase contract upon take-over by the buyer (hereinafter „conflict with purchase contract"), the buyer has the right to request that the Seller ensures compliance of the Product with the purchase contract free of charge and without delay, either by replacement of the Product or refund of its purchase price, according to the buyer’s choice; this does not apply in cases where, prior to take-over of the Product, the buyer knew about conflict with purchase contract or caused conflict with purchase contract. 1. The buyer is entitled to withdraw from the purchase contract without stating reason and without penalty within 14 days following take-over of the Product. The right of withdrawal is maintained if the buyer notifies the Seller in writing about its withdrawal within the term specified in the previous sentence. Right of withdrawal does not apply in cases where the Product is modified according to the buyer’s instructions or where the Product is meant for exhaustion. 2. Where the buyer exercises its right of withdrawal according to the previous paragraph, the Seller is entitled to compensation of only its actual costs connected to returning of the Product. The Seller is, on the other hand, obliged to refund to the buyer financial amounts paid in respect of the returned Product within 30 days following withdrawal at the latest. 3. In case of withdrawal from the purchase contract, the buyer is obliged to return to the Seller the Product(s) by way of shipment to the Seller’s address, at its own costs. 1. Condition subsequent of the purchase contract concluded between the Seller and the buyer represents the fact that the Product ordered by the buyer is no longer supplied or manufactured by the supplier or the manufacturer, respectively, which prevents its delivery, or the input price of the Product has changed substantially and the Seller, exercising due care, learnt about such change only after conclusion of the purchase contract. 2. Condition subsequent of the purchase contract represents also incomplete or incorrect personal (including VAT registration) data provided by the buyer in the course of placing its order. 1. By conclusion of the purchase contract, the buyer gives its consent with processing of its personal data (included in the purchase contract) in the database of customers of the Seller following the realization of the purchase contract (for the purposes of marketing, related product offers or other business cooperation) until the buyer delivers to the Seller its written disagreement with such processing. 2. The Seller stores the buyer’s personal data in accordance with applicable legal regulations of the Czech Republic, particularly Act No. 101/2000 Coll., on Personal Data Protection, as amended. Personal data of buyers are secured against unauthorised use. Such data shall not be passed to a third party by the Seller except for cases where the Seller is under a statutory obligation to do so, where third party providers, entrusted by the Seller, require such data in connection with preparation and/or realization of the buyer’s order (such as courier and the E-shop administrator); each time only to such extent which is necessary for the given purpose. 3. The buyer has the right to access its personal data, right to its correction as well as other statutory rights in respect of such data. Based on a written request of the buyer, delivered to the Seller, personal data of the buyer may be removed from the database. 4. Purchase contracts are archived by the Seller as of their conclusion and maintained in the archive. Purchase contracts are archived in the form in which these were concluded. Archived purchase contracts are accessible solely by the Seller or, as the case may be, by the archiving subject authorised by the Seller; neither of them is allowed to provide access to the contracts to a third party, except where under statutory obligation to do so. 1. Title and main characteristics of the Product offered by the Seller in the E-shop are indicated with the respective Product. 2. Costs of use of remote communication means on the side of the buyer (for the purpose of order placement) are borne by the buyer. 3. The Seller does not guarantee material correctness of E-shop contents, reserves the right to correct mistakes and typos, as well as the right to update Product data in E-shop without prior notification, though the Seller exercises due care to provide correct and updated information. 4. English language is the relevant and decisive language for the purchase contract, these GTC and any communication between the Seller and the buyer. By conclusion of the purchase contract, the buyer is assumed to demonstrate knowledge of English language in the extent necessary to realization of its order. 5. Hierarchy of documents for the purpose of assessing rights and obligations of the buyer and the Seller is as follows: (i) purchase contract, (ii) these GTC, (iii) Warranty & Return terms. 6. These GTC are valid for a given purchase contract in the wording as to the date of the respective purchase contract. 7. These GTC are suitable for archiving and reproduction by the buyer. 8. These GTC become effective as of 10 July 2018.